"Your fun music would make even a corpse tap his toe!" 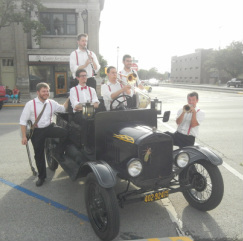 Want Mr. Taylor and his Dirty Dixie Band at your next event? Maybe you know of a great venue and would love to see us perform there. For any occasion, we are available and ready to play! Send us an e-mail at dirtydixieband@gmail.com, we'll get back to you right away!